International animal welfare organisation FOUR PAWS has joined the Fur Free Alliance (FFA) to launch a new campaign urging fashion brand Prada to adopt a fur-free policy. Competitors like Gucci, Versace, Armani, Michael Kors, Donna Karan and HUGO BOSS have already set the trend by accepting a forward-thinking attitude towards the use of fur in luxury fashion. Starting on 6 September – the opening day of New York Fashion Week – FOUR PAWS and other FFA members will be encouraging animal welfare supporters worldwide to send a protest e-mail or call Prada urging them to act now (http://bit.ly/pradafurfree). As a member of the Fur Free Alliance, an international coalition of 40 animal protection organisations that represents millions of supporters worldwide, FOUR PAWS prompts Prada to become the latest leading brand to join the fur-free fashion movement. The start of the Fashion Week season in New York, when all eyes are set on the major fashion houses, would be the ideal time for Prada to make such a commitment. “We want to draw attention to Prada’s fur policy during an extremely important time in fashion, right before the start of the four big fashion weeks in New York City, London, Milan and Paris. We’re encouraging Prada to join the frontrunners in the rejection of fur at a time when more and more major brands are choosing to replace animal fur with innovative alternative materials that are free from cruelty,” says Thomas Pietsch, Wild Animal Expert at FOUR PAWS. The majority of consumers want nothing to do with the fur trade, and other major fashion brands have already announced policies renouncing the use of real fur. 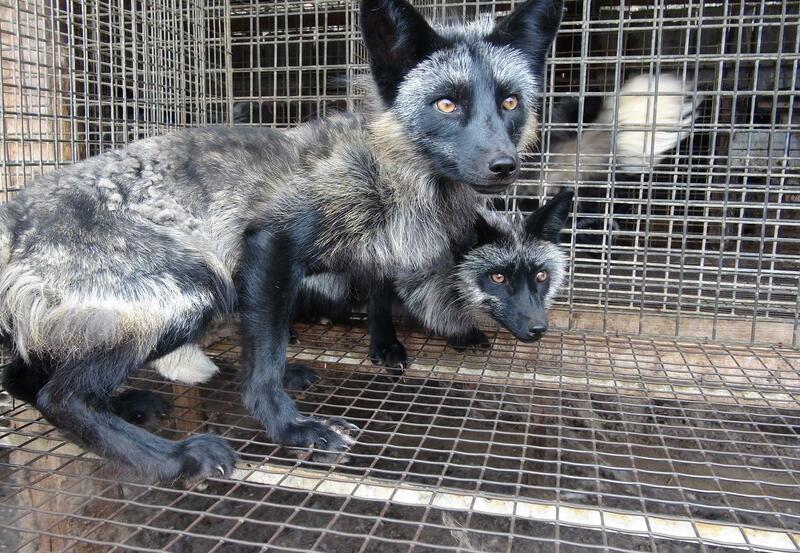 Countries like Norway, the Netherlands and Belgium are distancing themselves from animal cruelty by banning fur farming. Additionally, major cities from San Francisco to São Paulo have banned the sale of fur and Los Angeles and the United Kingdom, which banned fur farming in 2000, are now looking to ban fur sales as well. “Consumers are supporting companies that care about animal protection, which is why so many of Prada’s competitors have gone fur-free. Prada should join other fashion leaders and go fur-free instead of supporting the extreme animal suffering that is all too common in the fur trade,” says Fur Free Alliance Chairman Joh Vinding. On fur farms, wild animals spend their entire lives in wire mesh cages, deprived of the ability to engage in natural behaviours—only to be killed cruelly. In the wild, animals are held in traps for days without food or water until trappers come to retrieve them, often gnawing off their own limbs first in a desperate attempt to escape. The Fur Free Alliance is a coalition made up of more than 40 animal protection organisations from over 30 countries working to end the fur trade. The alliance also runs the Fur Free Retailer Program, which celebrates more than 900 fur-free companies worldwide and helped announce fur-free policies for Gucci, HUGO BOSS, Armani and many others.